Special Containment Procedures: SCP-696 is currently contained within a secure locker within Site-73. 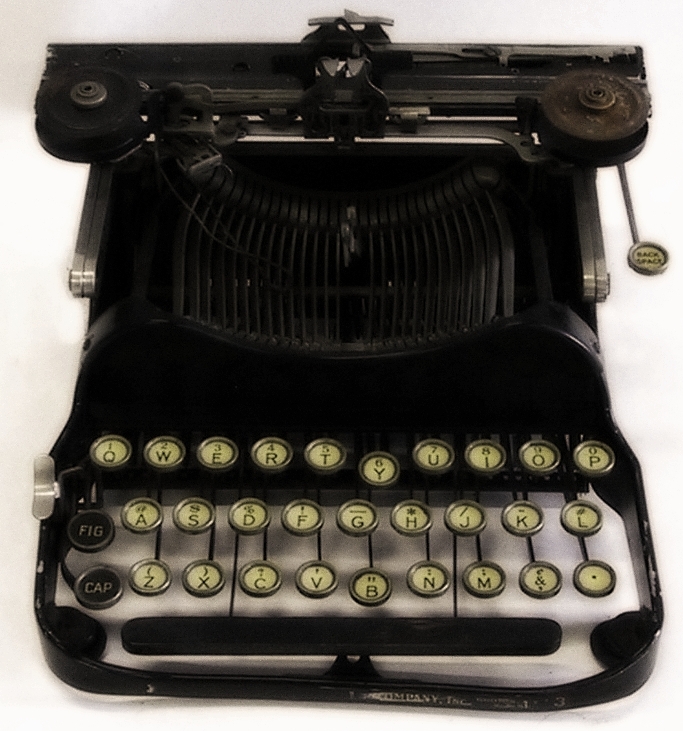 Description: SCP-696 is a portable mechanical typewriter. No manufacturer information, serial number, or other identifying features are present on SCP-696. SCP-696 is sapient, and is able to move its keys independently. However, it has expressed a reluctance to communicate unless loaded with paper and a ribbon of red ink. SCP-696 is also capable of understanding messages typed into it, allowing two-way communication. It is unknown how, as SCP-696 only appears to experience tactile sensations, but SCP-696 is able to distinguish between individuals it has communicated with. A majority of SCP-696 messages are typed in all capital letters in a verbose styling, and often include themes and imagery commonly featured in dark fantasy media. Foreword: Interview is the result of initial testing of SCP-696 using D-Class personnel. D-69601 has been equipped with a radio to communicate with research staff. D-69601: "Ha. Still works, doc!" Addendum: SCP-696 regularly requests to communicate with D-69601 and have him load it with paper and red ink for non-communicative purposes, citing a desire to write a novel for others to read. Permission was temporarily granted to test whether non-communicative products of SCP-696 possessed anomalous properties. D-69601 has been briefed on appropriate Snow Protocols, which are to remain active throughout the duration of testing. SCP-696 produced fifty pages within the twenty-four hours, and continued at an increasing rate over the course of the test. Over the course of eight days, SCP-696 produced 666 pages of content, titling the novel "The Dark Gods of The Abyss." Testing with D-Class personnel confirmed that excerpts of the novel (tentatively designated SCP-696-1) held no anomalous properties. It was a dark and stormy night, a car speeding down an all too narrow road. The torrential rain hit the road, like water crashing on a rocky path. But John Smith was a man on a mission, and thus he threw caution to the frigid wind. As the blistered moon sank higher into the clouds, from behind the last faltering light ray espied a wrathful visage. Shabathh Centhal'Pr, a spineless cur twisted into humanoid form. Its pernicious iniquity of unthinkable gyrations splayed errant madness, yet through the shroud one could see its face was quite rectangular. "Because the Prophecy saith so," the wizened crone croaked. And so John Smith underwent the noxious rites of Deesyx Nynesyx'O'un, his tortured frame writhing under the inky dagger. SCP-696-1 is given to D-69601 to read, to test if reading the entirety of the text produces any anomalous effects. After completing SCP-696-1, D-69601 requested to speak with SCP-696. Request was granted under the condition that the wrists and ankles of D-69601 remain bound during the interview due to possible anomalous effects. Closing Statement: SCP-696 was determined to have ceased all anomalous properties, and has been reclassified as Neutralized. After testing and psychological analysis, D-69601 has been determined to not be anomalous or under any anomalous effects. When questioned why it lied to SCP-696 concerning readers' reactions to SCP-696-1, D-69601 replied that he "didn't have the heart to tell him it sucked." He who fights with monsters should look to it that he himself does not become a monster. And when you gaze long into an abyss, the abyss also gazes into you. Stop.